This week I taught a workshop at Heritage Hill in Dandenong to a lovely group of women from around the area. We started the class with and intro to tool and techniques then when on to make a charm bracelet out of jewellery sourced from the op-shop. 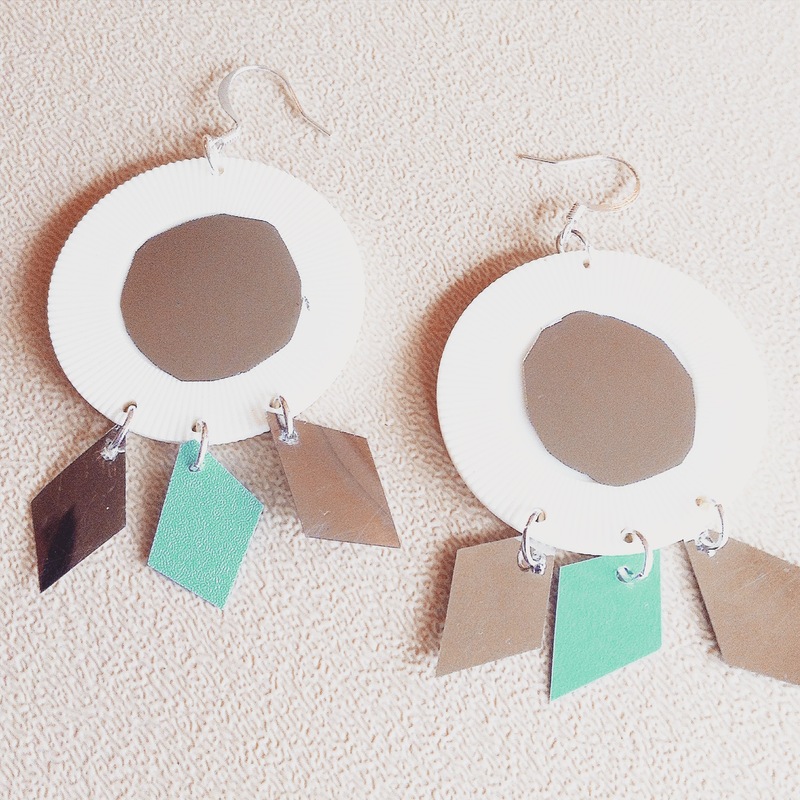 After everyone was comfortable with the basics, we took the next step and made earring out of ‘found objects’ – casino chips (from a game I found at the op-shop) and industrial waste from Reverse Art Truck. This was a great morning and everyone left feeling very pleased with themselves for having learnt a new skill and spent time exploring their creativity. In a few weeks I’ll be teaching my first jewellery workshop at Grub Food Van in Fitzroy. If you haven’t been to Grub before I recommend you check it out – it’s a gorgeous space full of light, plants and kitsch bits and pieces. Learn the basics of jewellery making while up-cycling vintage pieces and found objects into new items of bespoke jewellery! This hands-on workshop covers the techniques, terms and tools of fashion-jewellery making. You will be guided through the creation of your very own bespoke jewellery and finish the workshop with two or more pieces of jewellery to take home. In this workshop you will also have the opportunity to bring your old jewellery back to life or turn them into something fresh and exciting under the expert guidance of sustainable jeweller and repair enthusiast Emma Grace. Tools and materials supplied but please also bring your old jewellery & op-shop treasures to work with. Suitable for beginners to intermediate levels. * Glass of Sparkling included in workshop fee. Food and drinks available A la Carte for purchase on the day.